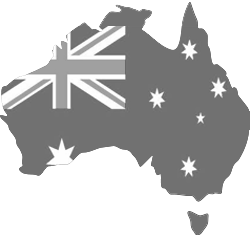 Welcome to our Online Plaque Ordering System. 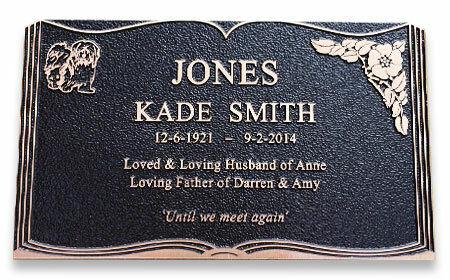 Create your ever-lasting monument with our simple online plaque designer. 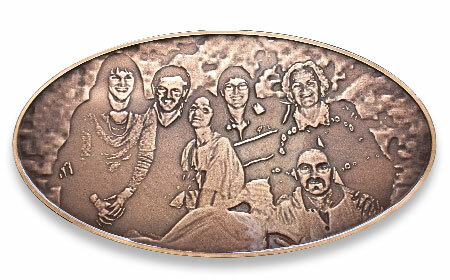 Begin by selecting the type of plaque you would like to create, and a desired size. 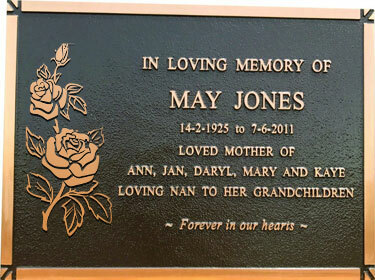 We can also create your plaque in custom size if required. 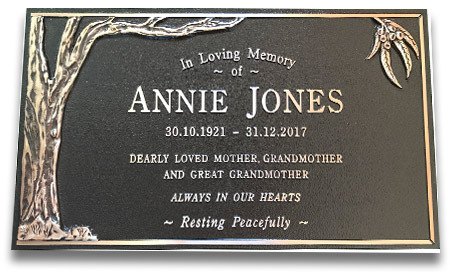 If you'd like a plaque size which is not available for selection in this step, please select the closest available size, then enter your request at Step 5 in the "Special Instructions" section and we'll contact you to ensure correct sizing. Please provide a name for this plaque to help when communicating with you about this order. 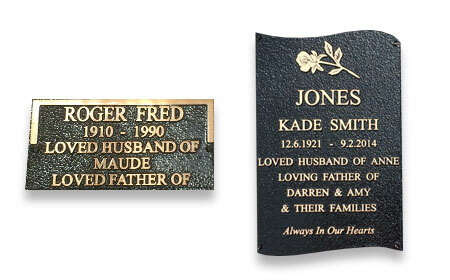 Make your selection from the available plaque types. You will then be able to select a size. 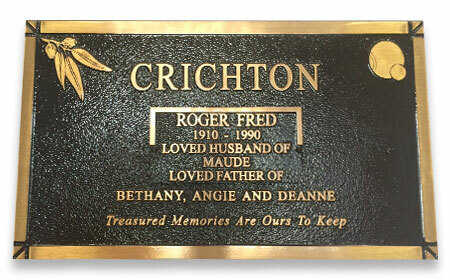 Note: Depending on the location within the cemetery, certain size plaques may not be applicable. We can help with this. 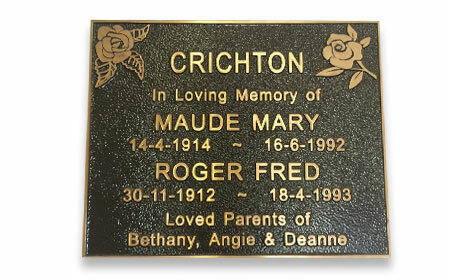 To provide the best value and personalised service to our bronze plaque customers.